LOIRE VALLEY, France — Never before has traveling so slowly brought such a huge rush. 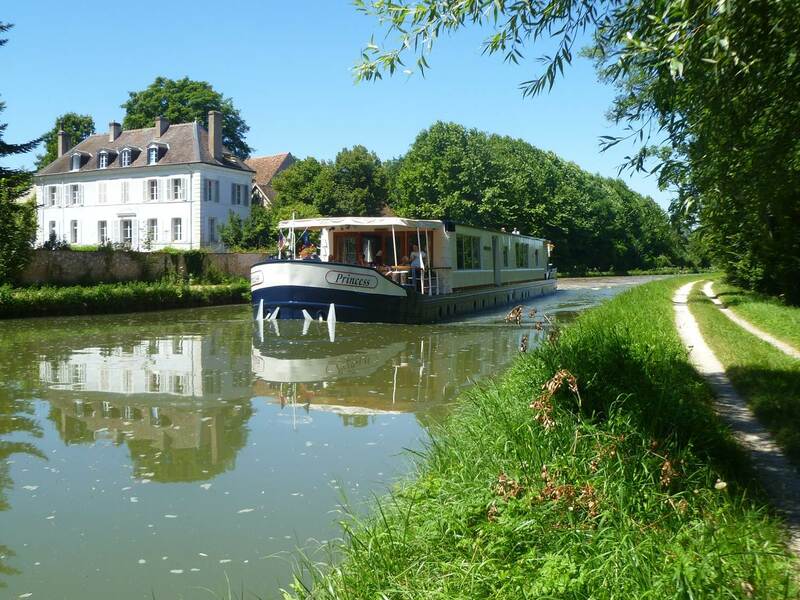 We’re cruising the Briare Canal in the Loire Valley south of Paris on a small barge and are being passed by pedestrians taking a leisurely stroll on a gravel path next to the canal. Our top-speed on this six-day cruise never exceeds 3 mph, and during the entire trip we traverse a grand total of 30 miles. Our dawdling pace is fine with us. As the barge drifts by small villages, vineyards and medieval chateaux in the French countryside, a tout de suite mentality seems as out of place here as a sprawling shopping mall. Barge cruising is a little-known offshoot of the growing European river cruise market. Barges tend to be smaller than their riverboat cousins, carry fewer passengers, and are able to navigate narrow canals that give cruisers a more intimate and rural traveling experience. Some also offer food and wine worthy of Louis XIV. I was on an elegant barge called the Princess, one of four vessels cruising this year in the fleet of French Country Waterways, the only American-owned barge cruise company operating in France. In addition to the Loire Valley, FCW barges – none of which carries more than a dozen passengers — cruise through canals in the French regions of Burgundy, Champagne and Alsace-Lorraine. The Princess, originally built in 1973 as a private barge for billionaire shipping magnate Daniel Ludwig, can hold up to eight passengers and an additional six crew members. It feels less like a cruise ship and more like a floating bed-and-breakfast — with lunch, dinner and top-shelf French wines and cheese thrown in as well. It’s the only time I’ve been on a cruise in which I memorized everyone else’s name – including the crews’ – by the second day. Half of the six crew members were from England; the rest were French, but everyone spoke English. At the beginning of the week, our captain and tour guide, Joanne Padbury, picked up our group of four couples at a Paris hotel and drove us in a van about 60 miles south to the ancient walled-town of Montargis. There, the Princess was waiting for us moored in the Briare Canal. One of the oldest canals in France, the Briare opened for traffic in 1642. In those days, barges were pulled by horses on towpaths. Before trains came along, river and canal barges were one of the safest and most efficient ways to transport both people and goods in Europe. But their importance waned over the centuries, and now French barges are used primarily by vacationers and the canals maintained by the government for their historic importance and scenic beauty. The towpaths still remain and we used them to take walks and ride bicycles stored on the back deck of the Princess. While we were cruising, Padbury would drive the van each day through the nearby villages to pick up fresh croissants at boulangeries for breakfast and ingredients at other shops that our French chef, Jean-Yann Attica, would whip into wonderful meals. Padbury would also use the van to take our small group on sightseeing excursions. Montargis, with a population of about 60,000 including its suburbs, was easily the largest town on our itinerary. We took a walking tour through its historic downtown and saw how the “Venice of Gatinais” earned its nickname. Like Venice, Montargis has a large network of waterways cutting through the heart of town and there are 131 bridges — many adorned with beautiful flowers – that cross them. At the end of the tour we were treated to a praline-tasting at a candy store, at which Padbury bought our supply of chocolate goodies for the week. The next two days the Princess was moored in the village of Rogny-les-Sept-Ecluses, named for its seven locks that were built in the 17th century. These locks, which resemble a large staircase, are no longer in use but remain an intriguing site for visitors. Numerous other lock stations in the canal – every few hundred yards or so — still function. The aquatic elevators are needed to compensate for changes in elevation in the Loire Valley. Loic, our pilot, would steer the Princess into a lock station with the precision of a surgeon, as there were just a few inches to spare on both sides of the barge. A lock keeper, who typically lives in a home adjacent to the station, would then close a large door behind the vessel. If we were going up, water would pour into the lock, enabling the Princess to rise several feet, just as a rubber duck rises when a bathtub is filled. Watching the process unfold over and over again never got boring. The lock stations also were a convenient place for us to get off the barge for walks and bike rides. While moored in Rogny, our crew taught us to play the popular French game of petanque (pronounced pay-tonk). Contested on a gravel field with hollow steel balls, petanque is somewhat similar to the Italian game of bocce. The slow-paced and cerebral game seemed a perfect fit with the laidback tone of the cruise. In terms of sightseeing, the highlight of the week was a trip to the largest and most famous chateau in the Loire Valley, the Chateau de Chambord. A UNESCO World Heritage Site, Chambord was built in the early 1500s as a hunting lodge for King François I. It has 426 rooms, 282 fireplaces and 77 staircases, including a unique double-spiral staircase that links the chateau’s three floors. Some historians believe Chambord was designed by Leonardo da Vinci. We also visited an even older chateau in St. Fargeau, which dates back to the 15th century. And there were excursions to a winery in Chavignol, a pottery factory in Gien, and a cruise through an engineering marvel called the Pont de Canal. This watery bridge takes the Briare Canal high across the Loire River. Designed by Gustave Eiffel – yes, the same Eiffel best known for the Paris tower – the Pont de Canal was the longest navigable aqueduct in the world from 1896 until the Magdeburg Water Bridge opened in Germany in 2003. Our forays into French life were punctuated each evening with delightful four-course, three-hour dinners, which included presentations from the crew about the French cheeses and wines we were served – many of which had attained prestigious Grand Cru or Premier Cru status. At the captain’s dinner our final night aboard the Princess, we were presented with copies of the menus, wine labels, and a cheese list for the connoisseurs among us who wanted to enjoy the same wines and cheeses back home. We had been concerned about cruising with such a small group of people. What if we weren’t compatible? With only eight passengers aboard, lunches and dinners are eaten together at one table. There’s no place to hide. But our fears proved to be unfounded. The three other couples – two of whom were American, the other Australian – were delightful travel companions and our mealtime conversations were as interesting and enjoyable as the passing scenery. “Some people come onboard with a bit of trepidation, realizing that you’re only going to meet three other couples,” said Padbury, who has worked for French Country Waterways for 10 years, the past four as a captain and guide. At the end of the cruise, we climbed into the van once more and Padbury drove us north back to Paris via a four-lane highway. It took us less than a half-hour to reach Montargis, where the Princess had started its journey on the canal six days earlier. The trip going south on the barge had been much slower, but a lot more enriching. We had taken the same mode of transportation along the same route the locals had used nearly 400 years ago – and gotten a wonderful taste of French culture in the process. 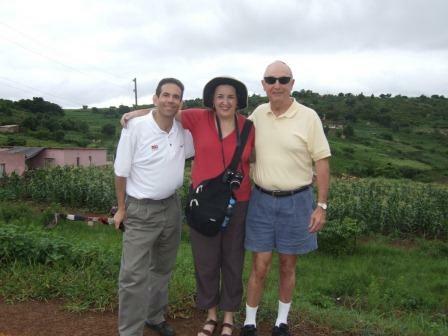 LOMAHASHA, Swaziland — I had just returned to the Silversea Silver Wind after a day of sightseeing in Maputo, Mozambique, when the voice of Capt. Gennaro Arma came over the ship’s public address system. Along with about 200 other passengers, I was midway through a 16-day cruise on the luxurious Silver Wind, which started in Cape Town, South Africa, and ended in Mombasa, Kenya. Thus far, it had been an amazing cruise. I had seen lions, rhinos and zebras on mini-safaris during prior port stops in South Africa and learned more about the native Zulu culture. 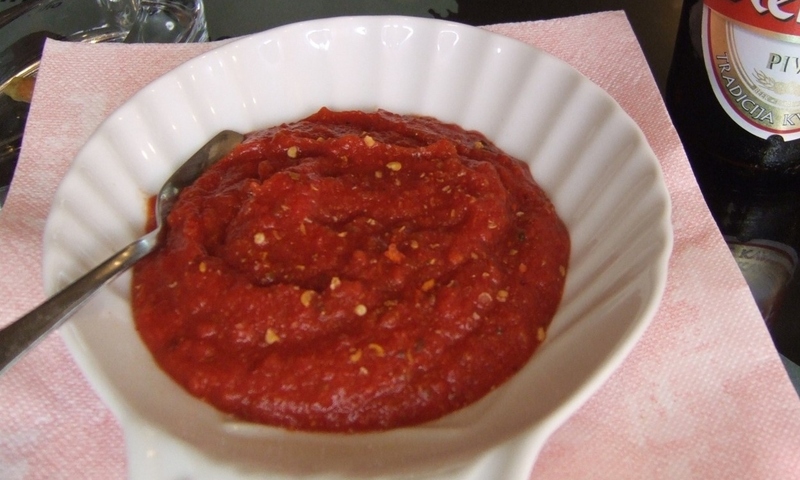 In a thick Italian accent, Capt. Arma announced that there was a bad storm in the Mozambique Channel to the north, in the direction where we were scheduled to sail that evening. 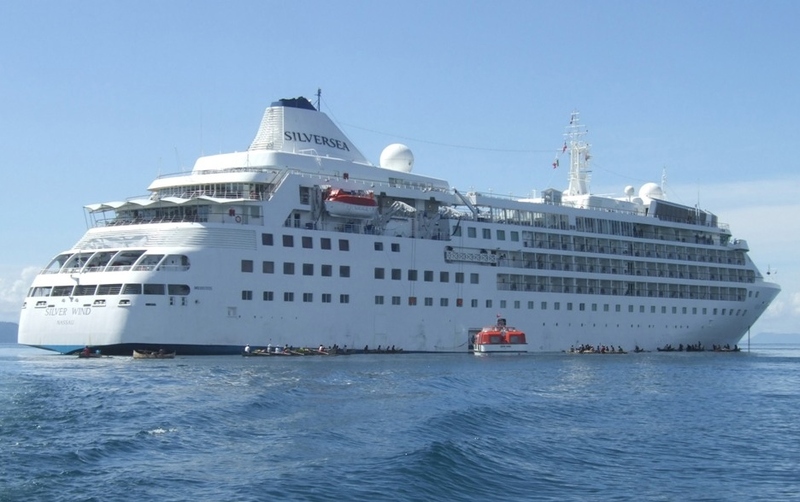 Therefore, the Silver Wind would be forced to stay docked in Maputo for another 24 hours. One thought immediately popped into my head: Swaziland or bust. I had wanted to visit the small Kingdom of Swaziland that day, only about 50 miles from Maputo, but was unable to find a reliable and reasonably priced car and driver to make the trip. Now with an unexpected extra day, I hoped I could make the necessary arrangements. 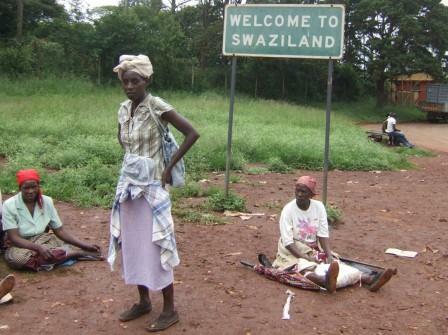 Why the fascination with Swaziland? Well, for one thing, there was something exotic about the name that had always intrigued me. And I knew it was one of the last remaining absolute monarchies in the world, meaning the King has complete power. Also, one day was more than enough to spend in Maputo, a congested city with few tourist attractions and pesky hawkers constantly in my face trying to sell tacky souvenirs. Finally, it would be a chance to check another country off the list. I have long wanted to join a fairly exclusive group called the Travelers’ Century Club. 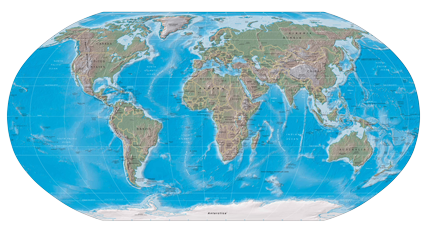 To be eligible, you have to visit at least 100 countries. I’ve now been to more than 90 and a visit to Swaziland would get me one step closer to membership. I approached Mr. Rudy, the local port agent on board. Did he know someone who could take me to Swaziland the following day? I told him it was essential that the car be reliable and comfortable and that the driver speaks good English. He nodded and said he would have the details for me the following morning. I spent the evening trying to recruit fellow passengers to join me. There’s always safety in numbers and sharing the cost would be nice, too. After a bit of cajoling, I was able to get commitments from Linda, a retired accountant from Georgia (and a fellow country-counter), and Bob, an attorney from Illinois. The next morning Mr. Rudy said he had lined up a reliable car and driver. “Of course,” he said, when I asked him if the driver spoke English. We agreed on the fare — $400 — which Linda, Bob and I would split. As we left the ship at 10 a.m., we were reminded by a Silver Wind staff member that the ship would be sailing that afternoon for Madagascar at 5 p.m., with or without us. We only planned on a four or five-hour trip, so that gave us plenty of time to spare. Mr. Rudy drove the three of us to the port entrance about a mile from the ship where Dudley, our driver, was waiting in a white Toyota four-door Land Cruiser. We were off on our adventure to Swaziland. Dudley drove a few blocks through Maputo’s chaotic traffic and abruptly pulled into some sort of service station. The next thing I knew someone was adding oil to the engine and replacing a bald front left tire. I looked around the vehicle. There were no seatbelts in the backseat (more a problem for Linda and Bob as I had grabbed the front seat next to Dudley), no air conditioning (temperatures that day were in the high 80s with humidity to match), and a cracked windshield with a wiper dangling from its holder like a broken twig. I think my window was the only one in the car that actually moved up or down. This definitely did not appear to be a reliable and comfortable vehicle as Mr. Rudy had promised. From the backseat, Bob suggested that perhaps Mr. Rudy hadn’t deliberately misled us. By Mozambican standards, maybe this was a reliable and comfortable vehicle. Bob also suggested that we consider aborting the trip and scrap our sojourn to Swaziland. But it was too soon to give up. I did voice my discontent to Dudley, who simply smiled and said, “It’s okay.” By now, the tire had been replaced and Dudley tried to start the engine but nothing happened. He yelled something out the window, two guys came over to give us a push, the Land Cruiser sprung to life, and once again, we were on our way. Not an auspicious beginning to our trip. After another stop for gas, we were finally headed out of Maputo into the Mozambican countryside. But I checked my watch and it was already 11 a.m. Our unexpected stops had cost us an hour’s worth of precious time and we were only just underway. As for Dudley’s English, that also left something to be desired — a lot, in fact. The longest sentence he was able to string together during the course of the day was, “I like Obama,” which he said with a huge smile when I asked him about the new American president. But Dudley did understand the word “stop,” which we would utter from time to time so we could stop and take pictures along the way. 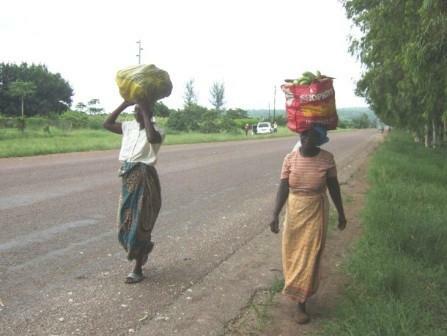 I was especially fascinated by the site of Mozambican women carrying huge loads of produce in baskets on their heads as they walked along the side of the road. No wonder they all seemed to have such excellent posture. One time, though, Dudley pulled the Toyota over without our prompting. He got out of the car and I heard him utter something that must have been a curse word in his indigenous language (Portuguese is the official language of Mozambique, reflecting the country’s history as a colony of Portugal, but a number of indigenous languages are also spoken, including Swahili). I got out and took a look for myself. 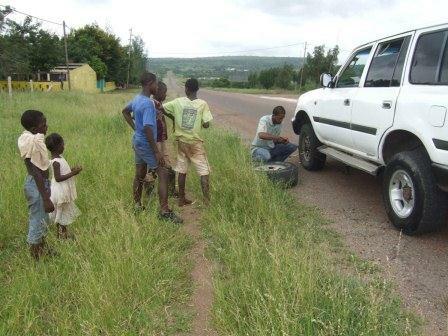 That same front left tire that had been replaced back in Maputo had gone flat. Dudley got to work changing the tire. We were seemingly in the middle of nowhere, but within minutes, several children appeared to watch Dudley put on the spare. When you can’t afford an Xbox and video games, I guess this sort of thing makes interesting entertainment. By now, the three of us were quite concerned. What if another tire would go flat? Dudley had already put on the spare. I had visions of being stranded in the middle of nowhere at 5 p.m. while the Silver Wind sailed away. I had planned to eat in La Terrazza, the ship’s specialty Italian restaurant that night. Would the grilled veal I craved end up on someone else’s plate? Also, it would most likely cost a fortune to fly to Nosy Be, a small island off the coast of Madagascar that was the Silver Wind’s next stop on our itinerary. In fact, did planes even fly there? Undeterred, Dudley put the spare tire on and we were ready to resume our journey. 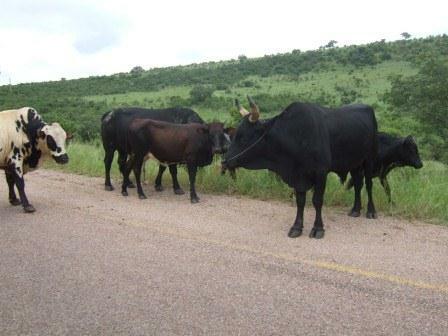 Soon, the countryside changed from flat to mountainous, with lush green hills as we headed southwest to Swaziland. At one point we had to stop for a herd of cows to cross the road. Sensing our apprehension about the time, Dudley picked up speed and as it was starting to drizzle, I got a bit nervous as the Land Cruiser negotiated the road’s twists and turns. It was now past noon and Swaziland was still nowhere in sight. Finally, we drove into the Mozambican border town of Nemaacha, where vendors selling fruits and vegetable lined the roadside. We pulled into the immigration office for what we hoped would be a perfunctory process. I had done some research and knew that Swaziland did not require a visa. 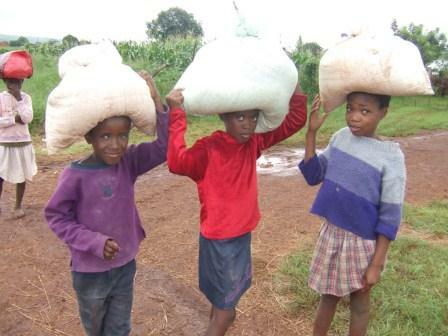 But the problem was with the Mozambican side of the border. With our passports laid out in front of him, a border official was lecturing Dudley about something. Sternly shaking his head, he kept saying the same thing over and over again in a language we couldn’t understand. “This couldn’t be good,” I said to Bob and Linda, wondering if it was time to consider deploying the universally used tool known to work at border crossings all over the world — the bribe. Turned out that anything under the table was unnecessary, Dudley told us. We just needed to pay $25 each for the privilege of leaving Mozambique. We would also have to pay $25 to reenter the country. This trip was starting to get expensive. But we had cleared our last obstacle, and when the bar was raised at the border crossing to let the Land Cruiser drive onto Swaziland soil, I felt like Sir Edmund Hillary at the summit of Mount Everest, with Dudley as my Sherpa. By now, though, with delays due to car problems, picture stops, cow herds and bureaucracy at the border, it was already time to head back to Maputo to catch our ship. We had time only to take a quick peek at Lomahasha, the Swazi border town. 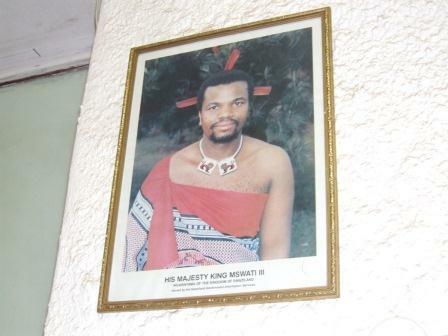 We popped into a shop and saw a portrait of the ruler of Swaziland, His Majesty King Mswati III. He was born in 1968, four months before Swaziland became independent from Great Britain, and succeeded his father as absolute monarch in 1986. From what I heard, the King, who has 14 wives and 23 children, has some pretty tough challenges to deal with in the country, including an HIV infection rate near 40 percent, highest in the world. All told, we spent about 45 minutes in Swaziland. The only souvenirs we could find were some coins in the Swazi currency, known as the lilangeni. But Swazi t-shirts or fridge magnets were nowhere to be found. All we needed was a quick bathroom break (and to pay another $25 at the border crossing) and we were ready to head back to Maputo. Bob and I had to pay $1 to use a bathroom that was two-inches deep in water — at least we hoped it was water. Unfortunately for Linda, the women’s bathroom was out of order. The Land Cruiser needed another push to leave the border area and when Dudley asked Linda if she wanted to stop at a hotel on the way back to use the facilities, she politely declined. We knew that each time we stopped, we might not be able to start. With about one hour to spare, we arrived back at the ship. It had been a true African adventure and after a bit more turmoil and stress than we would have cared for, we had reached our destination and safely returned. My Swaziland dream had come true. And I had set foot on the soil of another country, if only for a few minutes. Now back on the ship, it was time for some grilled veal and a stiff drink. Despite concerns when the British handed its colony back to the Chinese in 1997, Hong Kong remains very much open for business. The world’s “freest economy” for the last 16 years — according to the Heritage Foundation — also continues to be a hospitable home to one of the most prosperous and diverse Jewish communities in the diaspora. 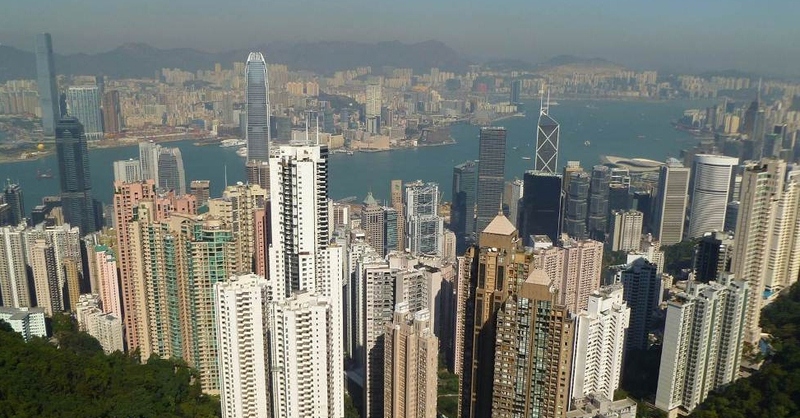 Hong Kong’s economic vitality — its seemingly endless crop of skyscrapers, incessant construction and its busy port — is easily apparent from the top of Victoria Peak, a 15-minute tram ride from the city center. On a clear day, it offers stunning views. Drawn by trading opportunities with ports in China, Jews began arriving in Hong Kong soon after it became a British colony in 1842. Many came from Iraq and India. In 1858, the small community was formally recognized by the colonial British government, which granted land for the establishment of the first Jewish cemetery, which is still in use today. Hong Kong census figures indicated only 40 Jews lived on the island in 1872. But by the end of the 19th century, the Jewish population had more than quadrupled, boosted by an influx of refugees from Eastern Europe. At the turn of the century, it became clear there was a need for a permanent synagogue to accommodate the growing and prospering community. The Sassoon family, prominent Iraqi Jewish merchants, donated land above the city center on Robinson Road and the money to build the Ohel Leah Synagogue. Opened in 1902, it was named after Leah Gubbay, the mother of the three Sassoon brothers. 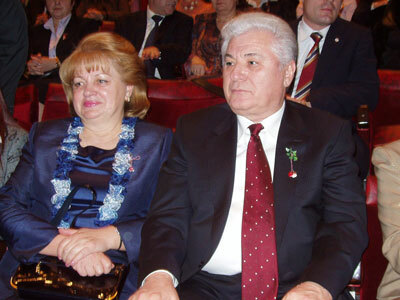 Three years later, the Kadoories, another prominent Sefardic family from Iraq and later India, funded the construction of a Jewish Recreation Club next to the synagogue. The Kadoories and other families also established the Ohel Leah Trust, which owns the valuable land surrounding the synagogue, some of which has since been developed into high-rise residential buildings. To this day, the trust remains a vital source of funding for Jewish life in Hong Kong. The Japanese occupied Hong Kong during World War II and many Jews were held in prisoner-of-war camps. 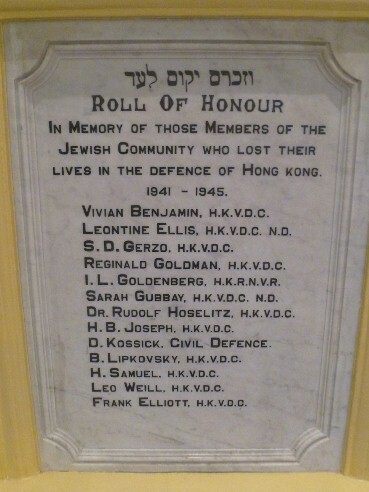 A plaque inside Ohel Leah honors 13 members of the Jewish community who died in defense of Hong Kong between 1941 and 1945. The synagogue was requisitioned by the Japanese but survived relatively intact. Immediately following the war, Hong Kong was a transit point for Jewish refugees leaving Shanghai, which had provided a safe haven for 20,000 Jews fleeing the Holocaust. In the last half of the 20th century, Hong Kong’s emergence as a global economic power and the opening of trade with China led to a dramatic jump in its Jewish population. Jewish businesspeople, lawyers, doctors, teachers, computer experts and other professionals arrived from America, Western Europe and Israel. It is believed that Hong Kong is now home to about 5,000 Jews, though estimates vary due to the transient nature of the community. 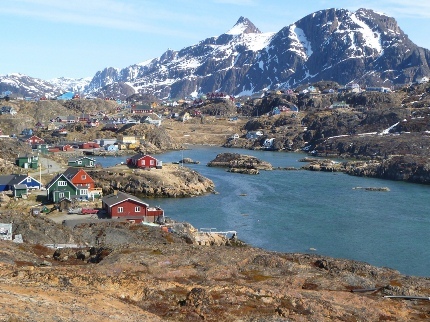 Many are expatriates, living on the island while on short-term work assignments. The community’s leading venue for cultural and social activities, the Jewish Community Center (70 Robinson Road; www.jcc.org.hk; 852-2801-5440), occupies several floors in a high-rise building next to the Ohel Leah Synagogue. Opened in 1995, it contains a swimming pool, banquet and meeting rooms, meat and dairy kosher restaurants and a kosher supermarket. The JCC complex also hosts one of the campuses of Carmel (www.carmel.edu.hk), the only Jewish day school in East Asia. With a membership of 190 families, Ohel Leah (70 Robinson Road; www.ohelleah.org; 852-2589-2621) is Hong Kong’s largest congregation. 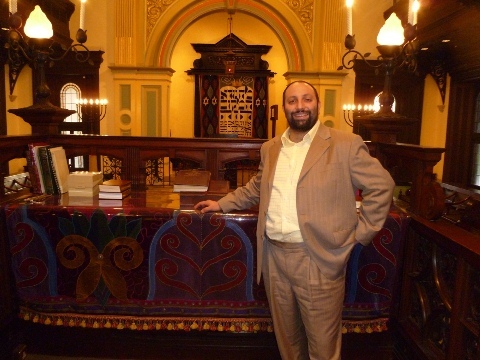 Rabbi Asher Oser, who joined the Modern Orthodox synagogue in 2010, reflects the global diversity of his congregation. He was born in Australia; educated in Canada, Israel and the United States; and most recently was a congregational rabbi in Providence, Rhode Island. “It’s a laboratory for how Jews from different places can get along,” he says of Ohel Leah, which has members from more than 20 countries. The United Jewish Congregation of Hong Kong (www.ujc.org.hk; 852-2523-2985), with 170 families, is Reform. It was founded in 1988 and meets in an auditorium adjacent to the JCC. It is headed by Rabbi Stanton Zamek, who previously led a congregation in Baton Rouge, Louisiana. He describes UJC membership as about 60 percent American, relatively young, career-oriented and successful. “They are in the top 5 percent of whatever they do,” he says. Under the leadership of Rabbi Mordechai Avtzon and his wife, Goldie, Chabad-Lubavitch (7-9 Macdonnell Road, Hoover Court, 1st Floor; www.chabadhongkong.org; 852-2523-9770) has had a presence in Hong Kong since 1987. In recent years, Chabad also has opened branches in Kowloon — a peninsula across Victoria Harbor — and on Lantau Island, where the Hong Kong International airport is located. Two Sefardic Orthodox congregations that cater primarily to Israeli expatriates were established in the 1990s. Shuva Israel (61 Connaught Road Central; www.shuva-israel.com; 852-2851-6300), and Kehilat Zion (62 Mody Road in Kowloon; www.kehilat-zion.org; 852-2368-0061) both have glatt kosher restaurants on their premises and are open to the public. Since the handover in 1997, relations between Israel and Hong Kong have remained solid. In fact, Hong Kong is Israel’s largest trading partner in Asia and Israel is Hong Kong’s second-largest export market in the Middle East. Israeli artists and musicians perform regularly in Hong Kong venues and the two governments collaborated to stage an Israeli film festival in January 2011. Billing itself as “the crown jewel of Asian Jewry,” the Ohel Leah Synagogue is indeed a magnificent example of British colonial-Sefardic architecture. The building underwent a $6-million restoration in 1998 to upgrade it to modern standards, while still maintaining its original look. In 2000, the restoration was recognized by UNESCO, which presented the synagogue with an award for Cultural Heritage Conservation. The two-story, multiturreted synagogue’s main entrance is framed by colonial-style archways and columns. Inside, a large bima and rabbi’s lectern sit below elegant chandeliers hanging from light-blue ceilings. At the front, the Ten Commandments are beautifully engraved in Hebrew on a yellow wall above the Ark. 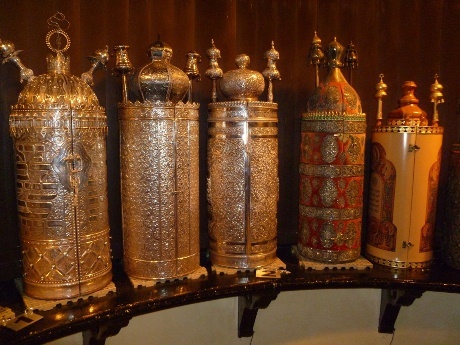 Visitors to Ohel Leah can see several antique Torah scrolls with Sefardic-style encasings housed in the Ark. Some date back to the 18th century. The synagogue and JCC, in a complex perched on the slope of Victoria Peak, are easily accessible from the hotels and attractions in central Hong Kong. 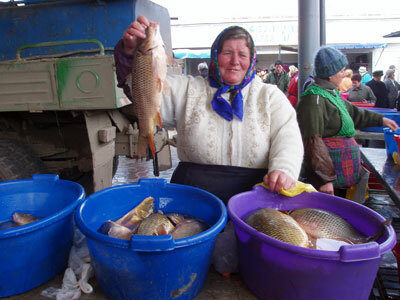 The most conventional way to reach the complex is by taxi, which takes about 10 minutes and normally costs less than $5. 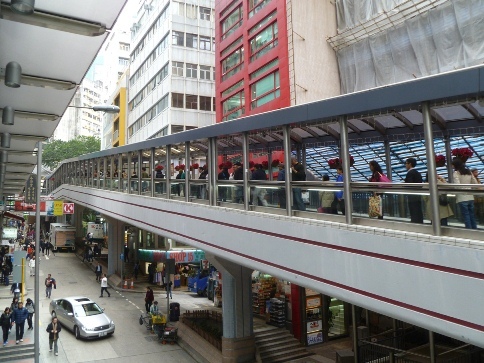 But for those wanting to save some money and experience up-close the sights, sounds and smells of Hong Kong street life, the world’s longest outdoor escalator offers a fun alternative. Riders can get on and off the half-mile-long covered people mover to shop, eat or explore in 29 different places. To get to the synagogue, take the Mid-Levels Escalator to Robinson Road, turn right and walk about five minutes up the road. The well-maintained Jewish Cemetery (13 Shan Kwong Road) has been in continuous use since it was established more than 150 years ago. 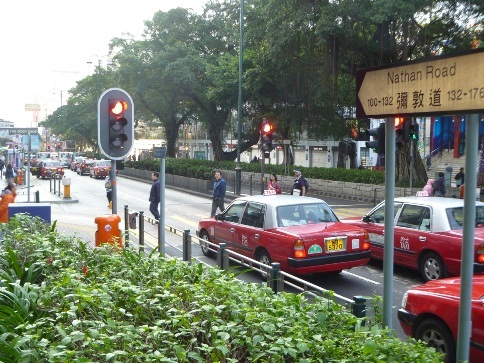 It sits next to a Buddhist monastery on a part of Hong Kong Island called Happy Valley, a 15-minute taxi-ride east of the JCC. About 360 Jews are buried there, including members of the Kadoorie family. 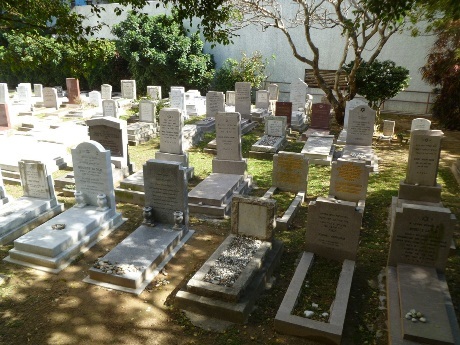 All the gravestones have been catalogued by the Jewish Historical Society of Hong Kong. 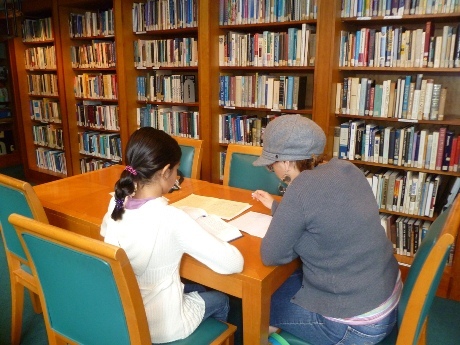 The JCC houses the largest library in the Far East dedicated to Jewish topics. It has more than 4,000 volumes, including a special collection of Sino-Judaic books and 300 audiovisual materials. Owned by the Kadoorie family, the Peninsula Hotel in Kowloon (Salisbury Road; 852-2920-2888; www.peninsula.com) has been Hong Kong’s poshest and most famous hotel since it opened in 1928. The Peninsula is known for its fleet of Rolls-Royce limousines and afternoon high tea, one of the few remaining traditions from British colonial days. 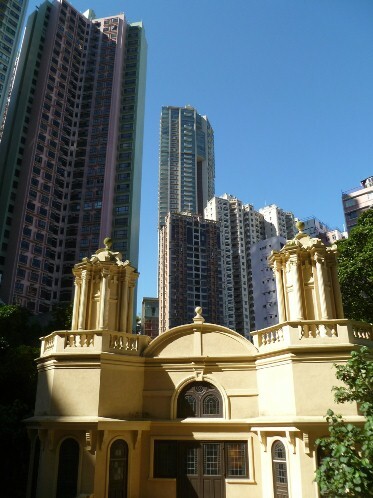 The Peninsula also played an important role in Hong Kong’s Jewish history. In 1946, about 300 Jewish refugees from Shanghai were stranded in Hong Kong with no place to stay. 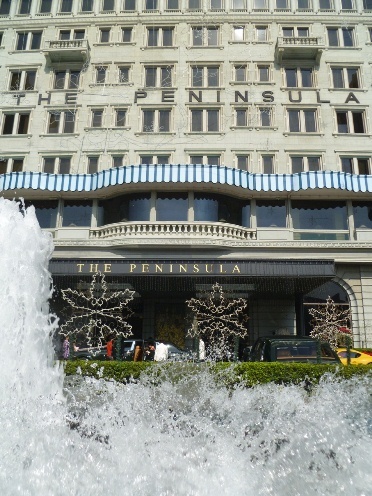 The Peninsula’s management converted its ballroom into a makeshift dormitory until they were able to leave Hong Kong six months later. 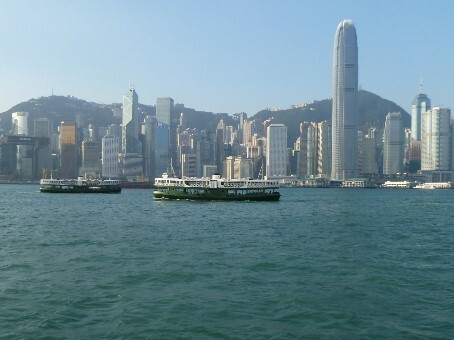 The subway may be quicker, but the most enjoyable way to get to Kowloon from Hong Kong Island is on one of the white-and-green Star Ferries, which have been transporting passengers across Victoria Harbor since 1898. The trip takes less than 10 minutes and costs about 50 cents roundtrip. The views of Hong’s Kong’s skyline are magnificent. The life of the Chinese revolutionary who helped overthrow the Qing Dynasty is nicely chronicled in the Dr. Sun Yat-Sen Museum (7 Castle Road; 852-2367-6373). Sun was educated in Hong Kong, and the museum offers an interesting glimpse into the island’s history in the late 19th century. It is located just a couple of escalator stops below the JCC. 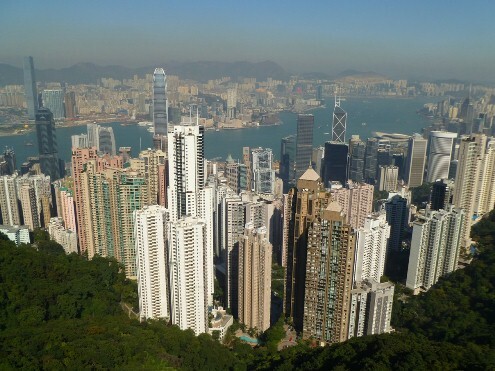 With a population of seven million people, Hong Kong is one of the most densely populated areas in the world. A pleasant respite from the crowds and concrete is the Zoological and Botanical Gardens (Upper Albert Road; www.lcsd.gov.hk/parks; 852-2530-0154). From the JCC, it is a 15-minute walk down Robinson Road. Admission is free. Just a 75-minute ferry ride from Hong Kong across the Pearl River Estuary, the former Portuguese colony of Macao is a popular and easy day trip. Macao was returned to the Chinese two years after Hong Kong. Both are classified by China’s government as “Special Administrative Regions,” meaning that outside of defense and foreign affairs, they have a high level of autonomy. To go from one to the other, visitors must pass through immigration in both places. Macao is best known for its growing number of huge and opulent casinos and has surpassed Las Vegas in gambling revenues. More than 90 percent of its visitors come from mainland China, where gambling is illegal. American casino and resort billionaire Sheldon Adelson recently expanded his Venetian-themed hotel and casino empire to Macao. It is definitely worth straying from the casinos for at least a few hours to explore Macao’s unique blend of Portuguese-Sino culture. The historic town center, a UNESCO World Heritage Site, features a mosaic pathway that leads past narrow, winding streets to the ruins of St. Paul’s Church at the top of a hill. 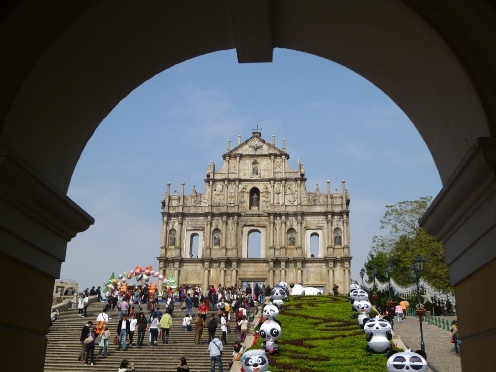 Built in 1602, most of St. Paul’s was destroyed in a fire in 1835, leaving only its ornate façade. Only a handful of Jews live in Macao, but Glenn Timmermans (gtimmer@umac.mo), an English professor at the University of Macao, is working to raise awareness of Jewish history and culture among the local population. Timmermans, who in 2010 took a group of 23 Chinese from Macao, Hong Kong and the Chinese mainland to Yad Vashem, has created an organization called the Association of Jewish Culture in Macao. It has staged modest Jewish film festivals for the past two years, and Timmermans hopes to organize symposia on the Holocaust and other Jewish-related topics. Sir Michael Kadoorie, whose family wealth reportedly exceeds $5 billion, comes from a long line of Kadoories who helped play a key role in the development of Hong Kong Jewry. He is the son of Sir Lawrence Kadoorie, a visionary industrialist, hotelier and philanthropist who died in 1993. Sir Michael, a philanthropist in his own right, presides over the family’s holdings, including a sizeable stake in Hong Kong’s leading electricity provider as well as ownership of the Peninsula Hotel. Mandarins, Jews, and Missionaries: Jewish Experience in the Chinese Empire (Weatherhill) by Michael Pollak, while not specific to Hong Kong, provides a good overview of Jewish history in the region, including traders along the famed Silk Road and the ancient Jews of Kaifeng. John Lanchester’s Fragrant Harbor (Penguin) is a historical novel about Hong Kong set from the 1930s to the early 21st century. Lanchester was raised in Hong Kong and paints a vivid picture of the island’s history during the British colonial era, Japanese occupation and postwar boom. Asian Jewish Life (www.asianjewishlife.org), a quarterly not-for-profit magazine based in Hong Kong, was launched in 2010 by Erica Lyons, an American lawyer who has been living on the island since 2002. Hong Kong also has a monthly Jewish newspaper, Jewish Times Asia (http://jewishtimesasia.org). For an authentic Cantonese dining experience, try one of the ubiquitous dim sum restaurants. Normally eaten for breakfast or lunch, dim sum – meaning light snack — comes in numerous varieties of dumplings, spring rolls and other concoctions. 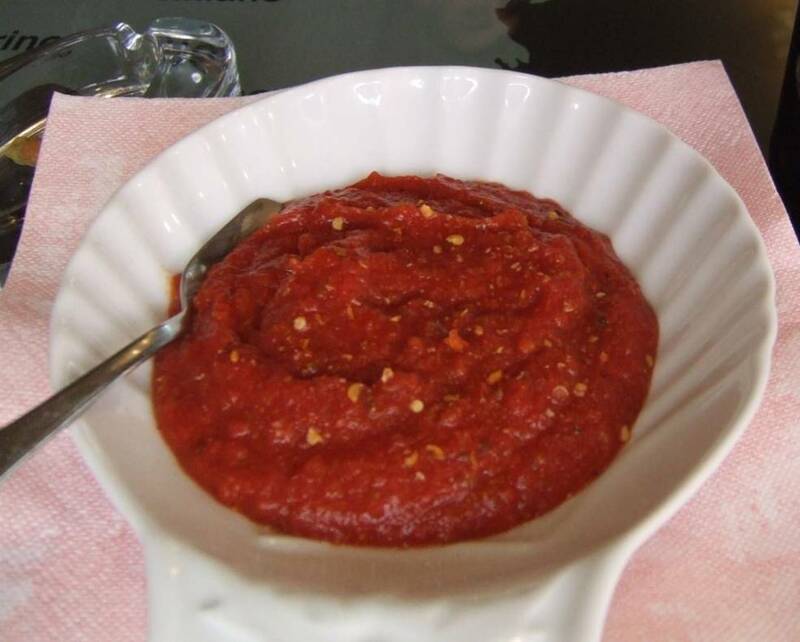 Diners typically choose several dishes and share with their tablemates. A good dim sum choice for vegetarians is Pure Veggie House (51 Garden Road; 852-2525-0552), located on the third floor of the Coda Plaza shopping center around the corner from Chabad. The Bishop Lei International House (4 Robinson Road; www.bishopleihtl.com.hk; 852-2868 0828) is one of the few hotels located in the Mid-Levels and is within easy walking distance of Ohel Leah and the JCC. It has 227 rooms, some with terrific views of the harbor below. Unlike mainland China, most Western visitors do not need a visa to enter Hong Kong. Those who do come may feel overwhelmed at times by the sheer magnitude of a place referred to by some as Hong Kongcrete. But in reality, more than 70 percent of Hong Kong is countryside. It’s never hard to find pockets of relative solitude — a Chinese temple or quiet park. And there are few destinations that offer such a fascinating mix of Eastern and Western cultures as well as a chance to witness firsthand one of the world’s most potent economies continuing to steamroll ahead. NORTH ATLANTIC OCEAN — It’s my first day at sea aboard the Holland America Veendam on a week-long cruise sailing from Manhattan to Bermuda. While many of the other 1,300 passengers are lounging by the pool, playing slot machines in the casino, enjoying a spa treatment or jostling for position at the Lido buffet, I have more enlightening pursuits in mind. I’m attending computer boot camp for the digitally challenged. It’s a series of courses — several offered onboard each day — that the Holland America Line calls the Digital Workshop Powered by Windows. The cruise line now offers the program on 13 of its 14 vessels. Indeed, computer courses at sea are now becoming almost as ubiquitous as the towel animals cruisers find on their cabin beds at night. Several cruise lines, including Celebrity and Princess, two of Holland America’s leading competitors in the high-end mass-market segment, also offer computer classes. On the Veendam, I arrive a few minutes early in a classroom right next to the Rotterdam Dining room equipped with 16 laptops and claim one in the back row. By the time the class starts, it’s standing-room-only and some participants need to double-up on computers. “Techspert” Lauren Murphy, 26, teaches our eager group of mostly beginners, some of whom are close to three times her age, how to download pictures onto the computer. Other hour-long sessions that day cover how to edit photos and then turn them into a movie. “Click fix on the top menu,” Murphy said, explaining how to auto-adjust color and light in a photo using Windows Live Photo Gallery. “Click what on what now?” a gray-haired gentleman asked from the second row. At first, I think the courses are a bit too basic for me, and I’m not particularly computer-savvy. But before long we’re learning how to “stitch” images together to make a panoramic photo, remove that annoying red-eye that often mars indoor portraits, and other techniques I had no idea how to do. I find myself eschewing movies, bingo and other shipboard activities to repeatedly return to the Digital Workshop. Cruise lines, especially those like Holland America that attract an older clientele, have found these courses to be hugely popular with their passengers, some of whom come onboard without even rudimentary computer skills but want to learn basic tasks like how to email their vacations photos to their relatives. Carol Clippard, a 76-year-old passenger from Tucson, attended a session on the Veendam with her husband Buck called “Put Your Best Face Forward,” a primer on digital editing tools. Holland America offers its Digital Workshop in partnership with another Seattle-based company — Microsoft. The computer-software company provides the laptops, course materials and trains the instructors. 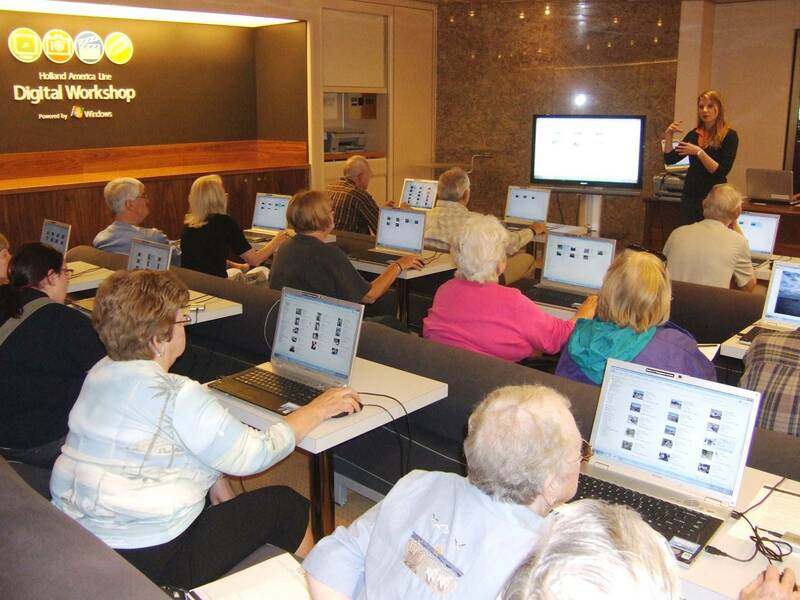 In return, Holland America agreed to showcase Microsoft products to an important market — affluent seniors. The cruise line also offers all the classes for free, making it the only entirely complimentary technology program of its kind at sea. Erik Elvejord, a Holland America spokesman, said the partnership has worked out well for both companies. “It’s a plus for Microsoft, which is engaging an audience that might not otherwise engage in computer technology,” he said. “These are folks that will probably use more and more computers and applications as time goes on. While Microsoft promotes its Windows products to Holland America cruisers, its rival, Apple, isn’t sitting by idly ashore. The producer of Macintosh computers has a partnership with Celebrity Cruises in which passengers can take classes at sea using Macs and other Apple products. Some of the Celebrity courses are free; most have a $20 fee. Murphy, the Holland America “techspert,” said that on some sailings, as many as 50 people have crowded into the classroom at one time. “It sometimes gets really packed in here,” she said. Not surprisingly, the Digital Workshop on the Veendam had much larger turnouts on sea days than when we were docked in Bermuda, when most of the ship’s passengers were off exploring the island. In addition to teaching three or four classes a day, Murphy offers an hour each day of “techspert time,” in which passengers can come in and look at their photos and ask questions about anything related to computers. On some cruises, more advanced courses are offered, including how to blog and even set up your own personal Webpage. Not everyone, though, who attends the Digital Workshop is a novice. On my sailing, Mike Meffert, 72, of Bridgewater, Va., came to a session called “A New Window Into Your World,” an overview of Windows 7. He was trying to decide whether it was worth upgrading to the new operating system. Meffert, who considers himself more computer literate than most people his age, bought his first computer — an IBM — way back in 1982. That was 15 computers ago. It is 6:30 a.m., just after sunrise, and a security guard is on Deck 9 peering out over the railing on the Silversea Silver Wind, a luxury cruise ship carrying 400 passengers and crew. Two of his colleagues are patrolling other decks. Armed only with two-way radios, they have been walking in circles around the ship’s decks the entire night. We’re sailing the Indian Ocean off the east coast of Africa, only 200 miles from Somalia, and the Silver Wind is on the lookout for pirates. The security guard stops for a minute to answer my questions. He tells me nothing unusual happened during the course of the night, but if an unidentified vessel were to come too close to the Silver Wind, the ship had procedures in place to fend off would-be intruders. He wouldn’t specify what they were, but cruise ships have been known to use everything from high-pressure hoses to sonar weapons to repel attacks. No such measures are needed on this particular voyage and the Silver Wind docked uneventfully later that morning in Mombasa, Kenya, completing a 16-day journey that began in Cape Town, South Africa, with stops in Mozambique, Madagascar and Tanzania. Somali pirates have attacked hundreds of cargo ships off the coast of Africa, raking in an estimated $30 million in ransom last year alone. Earlier this month, pirates made off with $3.2 million in ransom after releasing an arms-laden Ukrainian freighter, one of their biggest hauls ever. As for cruise ships, pirates have tried, but have yet to successfully land a floating five-star hotel, which could potentially reap an even bigger payday. Our ship of 200 affluent mostly European and North American passengers was carrying enough bling and cash to make any band of pirates drool, not to mention the enormous ransom a luxury cruise ship could fetch. In late November, the Oceania Nautica was attacked in the Gulf of Aden by two small boats carrying armed Somali pirates. Shots were fired but the Nautica was able to outrun the bandits and no one was hurt. And three years ago, two boatloads of pirates on inflatable speedboats armed with grenade-launchers and machine guns were thwarted in an attack on the Seaborn Spirit on its way to Mombasa 100 miles off the coast of Somalia. According to passenger accounts of the attack, one grenade actually landed in a stateroom without inflicting injuries. Some German cruise lines have gone so far as to fly passengers in the region from one port to the next so they won’t be onboard when the ship transits the Gulf of Aden, a pirate haven that links the Indian Ocean and Red Sea. German Defense Minister Franz Josef Jung in December accused cruise lines that sail in that area of risking the lives of their passengers. But the Cruise Lines International Association (CLIA), the Florida-based trade group representing the cruise industry, defended the continued sailing through the Gulf of Aden, saying that cruise ships that traverse the area do so within a prescribed “Maritime Safety Protection Area,” which is patrolled by military forces from several countries. All factors considered, cruise ships make much more difficult targets for pirates than cargo ships. Taking over a slow-moving container ship with a handful of crew members is one thing, but capturing a cruise ship with hundreds of passengers would be a logistical nightmare. Pirates normally like a one-to-one ratio of captives to captors so that they can maintain control of the vessel while ransom talks take place. Cruise ships are also faster and carry a wider range of non-lethal weaponry than most cargo ships. Plus, their tall hulls make it harder for pirates to throw hooks over the side and board. Indeed, the passengers I spoke with seemed more worried about what time to make dinner reservations in La Terrazza, the elegant Italian restaurant onboard, or whether to forego a lecture on African politics for a dip in the pool. Even crew members who will be aboard in April when the Silver Wind is scheduled to transit the Gulf of Aden said they weren’t overly concerned. And the only pirates I encountered during the trip were vendors at London’s Heathrow Airport on the flight home who were asking $10 for a stale sandwich or $4 for a bottle of water. Making the region even safer is a new task force, led by the U.S. Navy’s Fifth Fleet, which just started counter-piracy operations in January. U.S. warships are now working with naval vessels from 14 different countries, including Great Britain, Russia and China. “We want to see our industry continue to grow, so if it gives people peace of mind knowing that there’s a task force out there that is watching the seas in a known trouble spot, we support it 100 percent,” said Ball. BANJA LUKA, Bosnia and Herzegovina — At first, I thought our bus driver had made a horribly wrong turn. At the Croatia-Bosnia border: Where in the world am I? I was exploring the western Balkans and had left Belgrade, Serbia, a few hours earlier on a bus owned by Lasta, Serbia’s largest bus company. We had just crossed the border from Croatia into what I thought was Bosnia and Herzegovina. I took out my guidebook and read about this little-known pseudo-state that is now home to about a million-and-a-half people. 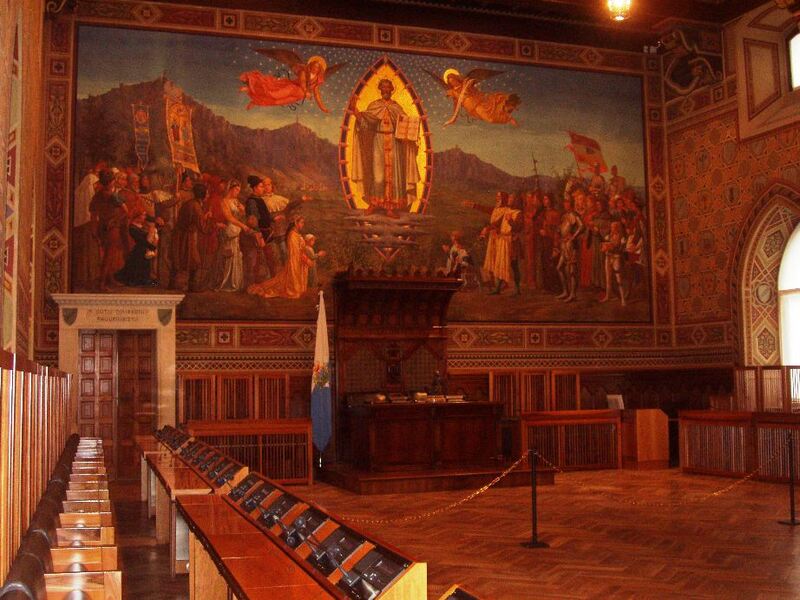 The Republic of Srpska is one of two political entities in Bosnia; the other is the Federation of Bosnia & Herzegovina. 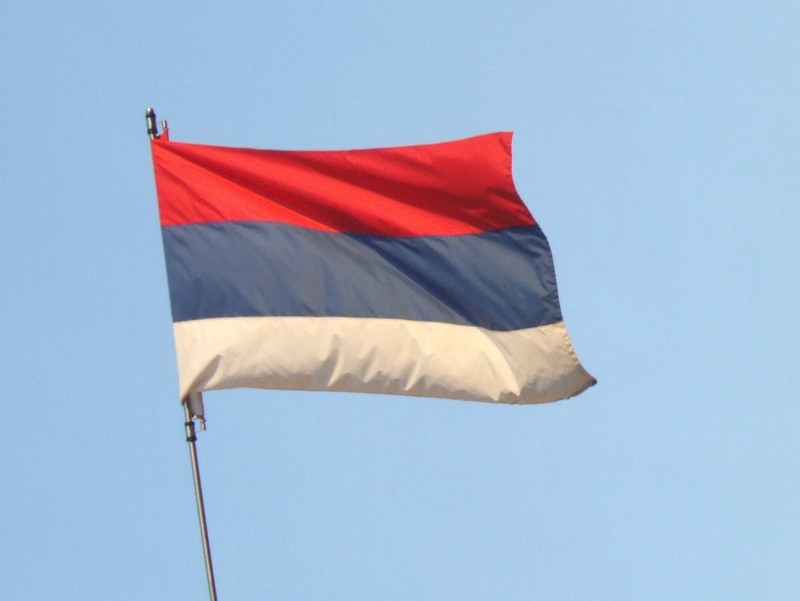 Srpska was created during the Bosnian war in the early 1990s after Yugoslavia imploded and Muslims, Serbs and Croats fought for control of the newly independent country of Bosnia and Herzegovina. The war ended in 1995 when President Clinton helped negotiate what became known as the Dayton Agreement. It basically divvied up Bosnia into two equal-size regions: Bosnia and Herzegovina, where mostly Muslims and Croats now live, and Srpska, home to mostly Serbs. 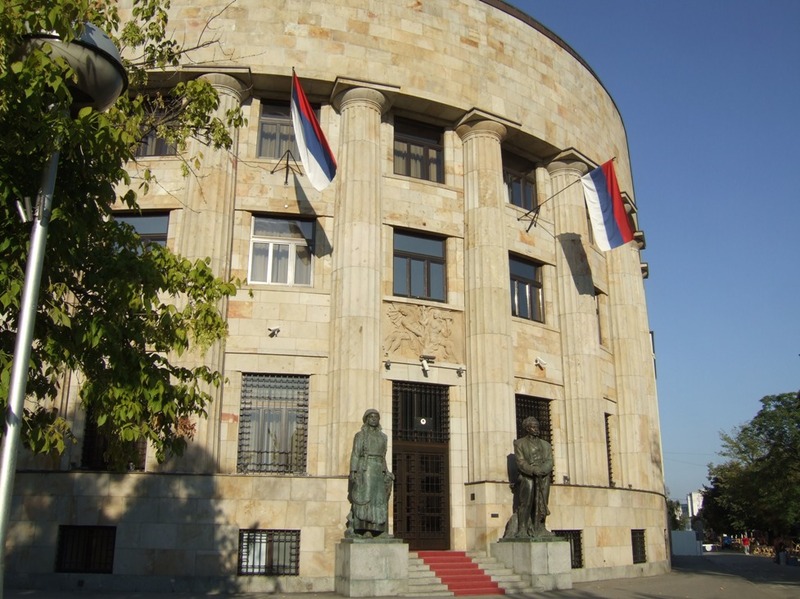 Srpska has its own president, Milorad Dodik, its own parliament that levies taxes on its citizens, its own flag, a national anthem and even has quasi-embassies in several foreign countries. In other words, even though it’s technically part of Bosnia, Srpska acts like a sovereign country. After two hours of driving past cow pastures, cornfields and small villages anchored by Orthodox churches, our bus arrived in Banja Luka, Srpska’s pleasant-looking capital city of a quarter-million residents. 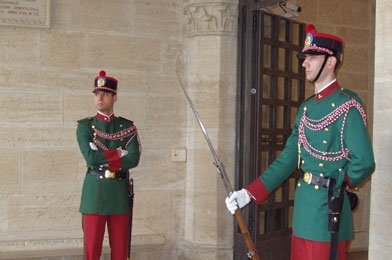 I registered at the Hotel Bosna in the heart of downtown, and decided I wanted to go right to the center of power by visiting the main government building. Who knows, maybe I’d even catch a glimpse of Mr. Dodik, who was elected Srpska’s president in 2010. 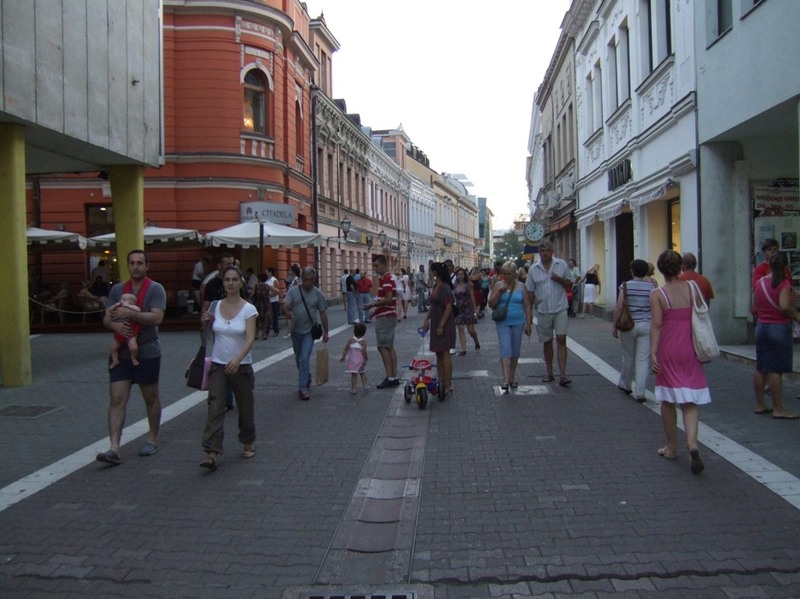 I walked a few blocks from my hotel down Kralja Petra Street. There stood an attractive glass building with a red carpet leading to the front door. Near the entrance was the official crest of the Republic of Srpska. Figuring I must be the first person on my block to visit Srpska, I wanted a picture to prove it. I took out my camera. 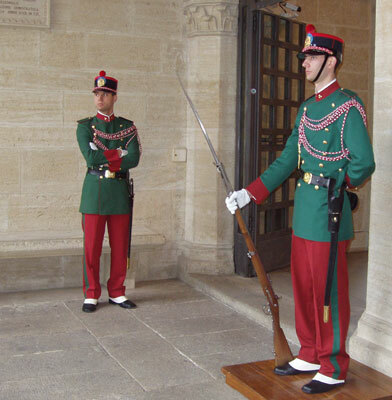 Suddenly, a policeman bolted out of a guard tower in front of the building and started yelling at me. He was speaking Serbian, which I don’t understand a word of, but it was a pretty good bet he was telling me not to take pictures. No wonder no one has heard of this place, I thought. They don’t exactly excel in public relations. I had much better luck at the official tourist office. 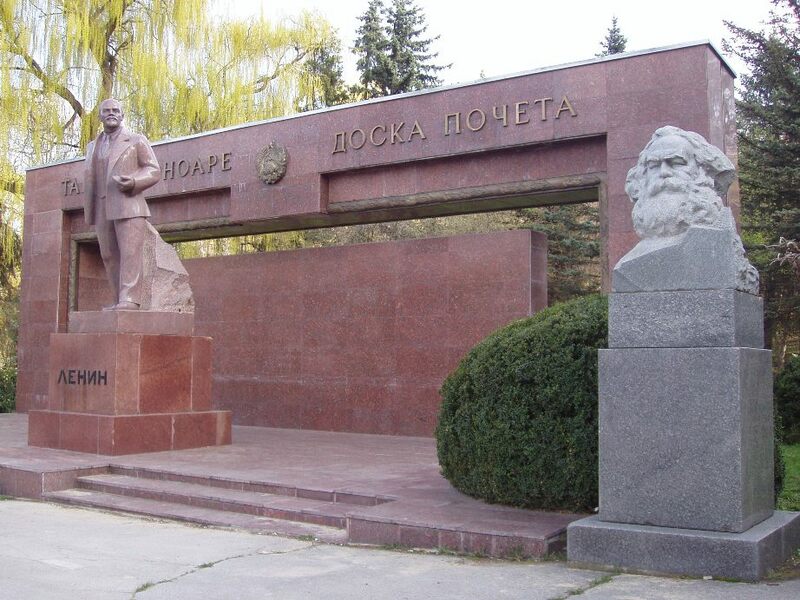 There, I had a pleasant conversation with a young man named Zoran, who told me that even though the war ended some 15 years ago, people are still skittish in the region and the authorities don’t like visitors taking pictures of government buildings. I wondered if Zoran felt like the Maytag repairman, with no customers to keep him occupied. Surprisingly, he told me more tourists are coming to Srpska every year, many from Western European countries. Hotels, restaurants and beer are a lot cheaper in Srpska than they are in Belgium or Germany. In addition to the relatively low prices, visitors are attracted to Banja Luka for the adventure sports in the area. The Vrbas River, which cuts through the heart of town, is known for excellent whitewater rafting and kayaking. 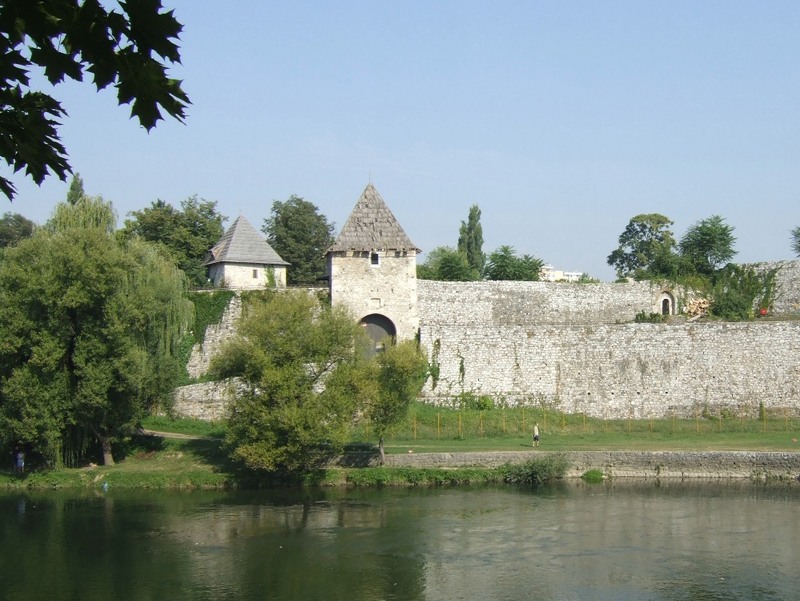 A 16th-century castle overlooking the river is a popular venue for summer music and dance festivals. 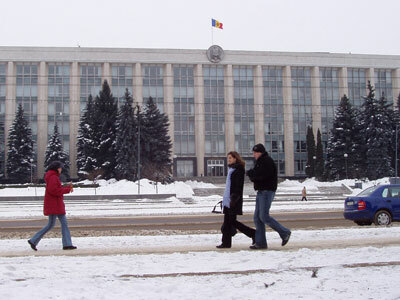 The next day I walked over to another government building, this one called the “Palace of Republic.” I was told this was the building where Srpska’s president worked. This time I discretely concealed my camera and was able to snap a photo without the police noticing. I don’t know if Mr. Dodik was inside the building at his desk that day and I wasn’t about to ask. It was getting dark as I walked over to Veselina Maslese Street, a pretty pedestrian-only promenade full of shops and cafes. The street was packed with the locals doing nothing more than walking and talking with their families and friends. It’s a popular Balkan custom called the korso, which is sort of like cruising down the main drag, only without the car. For dinner, the front-desk clerk at my hotel suggested I try the local specialty called the Banjalucki cevap — patties of minced lamb and beef served on spongy bread with a plate of onions on the side. 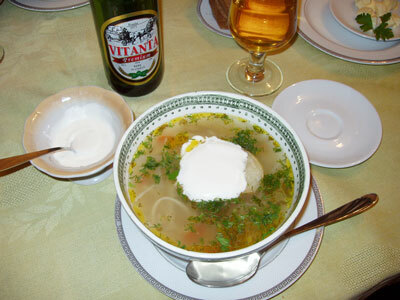 I ordered the “medium” portion, which I could barely finish, and washed it down with Jelen Pivo, a popular Serbian beer. Before I left the Republic of Srpska to explore the Bosnian Federation, there was one last site I wanted to see. My guidebook mentioned there had once been a famous mosque in Banja Luka called Ferhat-Pasha, which was originally built in 1579 at a time when the Turks occupied the region. It apparently had been a beautiful mosque, even earning distinction as a UNESCO cultural-heritage site. But all 16 mosques in Banja Luka, including Ferhat-Pasha, were blown up during the Bosnian war in the early 90s, in which more than 100,000 soldiers and civilians died and an estimated 1.8 million people were displaced from their homes. Zoran at the tourist office, though, had told me the mosque was being rebuilt. I found it, just a block from the castle. 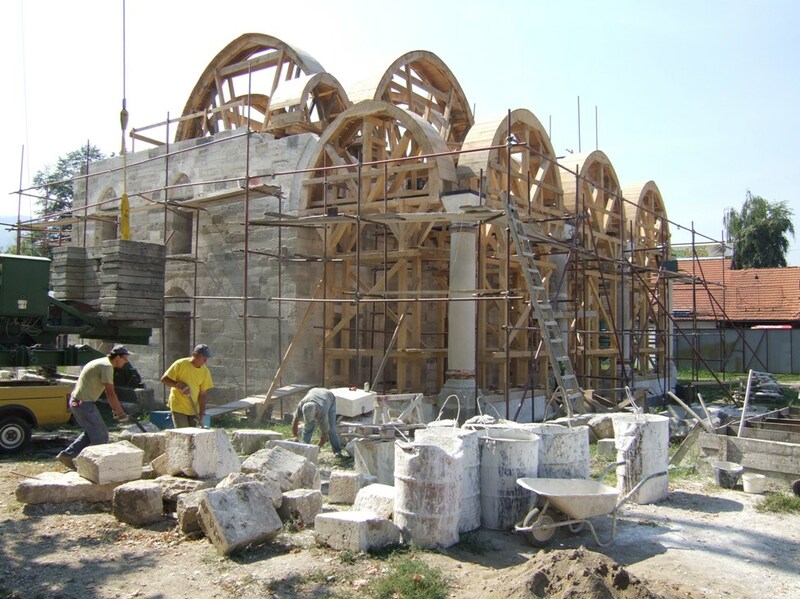 Indeed, a construction crew was on-site and while much work still needs to be done, Ferhat-Pasha is slowly starting to take shape. Perhaps it’s a hopeful sign that the scars from the Bosnian war are now healing and better times are ahead for the Republic of Srpska.